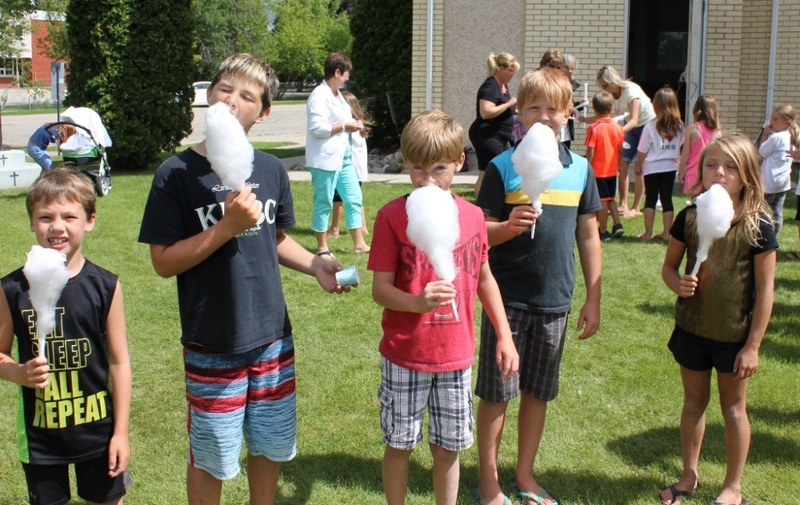 During the week of August 1st to August 6th, Sacred Heart Ukrainian Catholic Church in Rossburn hosted its with great success! 45 gifted and energetic children from Rossburn and surrounding communities came together and were divided up into groups according to their age. The week was spent learning about Jesus through daily Divine Liturgy and prayer, crafts, outdoor play and games, bible stories, songs and a BBQ lunch. 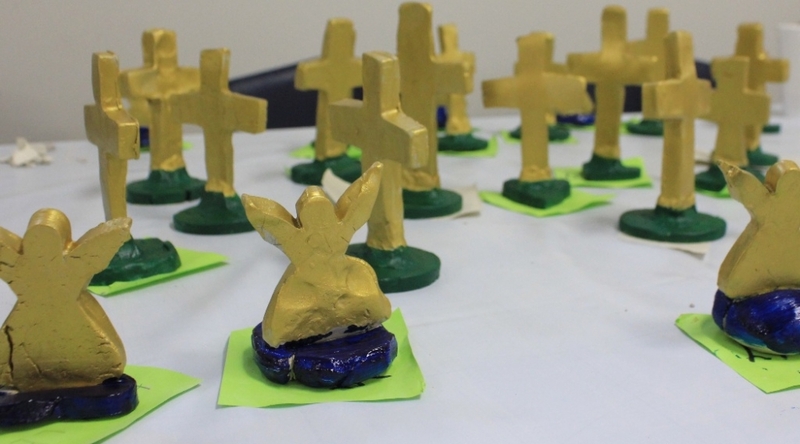 Each child was given the opportunity to make a rosary and a clay cross to bring home. Fr. 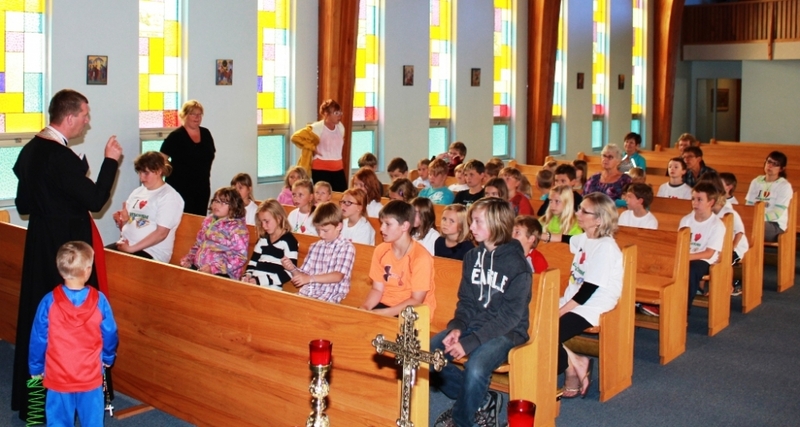 Mykhaylo blessed the rosaries and the children were taught how to pray the rosary. The children also learned God’s exclusive phone number, the Sign of the Cross, and the best part being: it’s never busy! Hearts were filled with the love for Christ and tummies were filled with cotton candy and hamburgers! More than dozen dedicated volunteers provided the necessary care, support and time to bring Jesus into the children hearts. Thank you so much to these individuals; you know who you are! 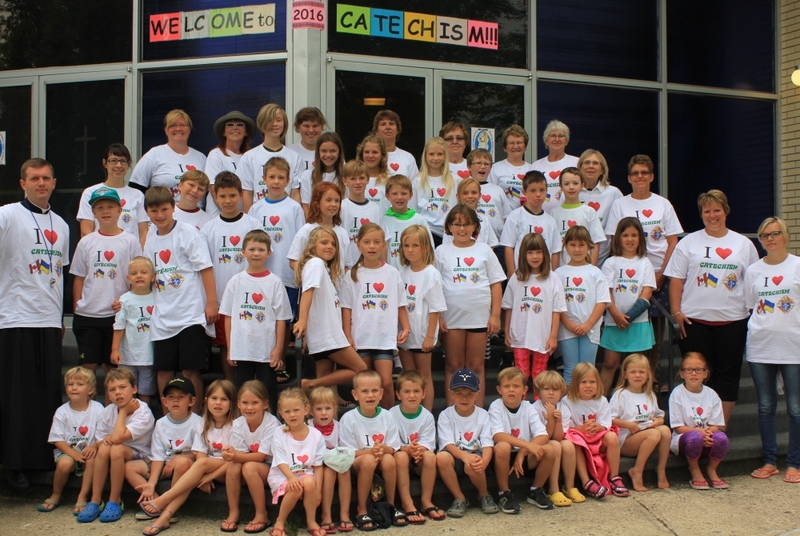 A special thank you to the Knights of Columbus who donated t-shirts to all the children and volunteers; they were happily received and greatly appreciated! 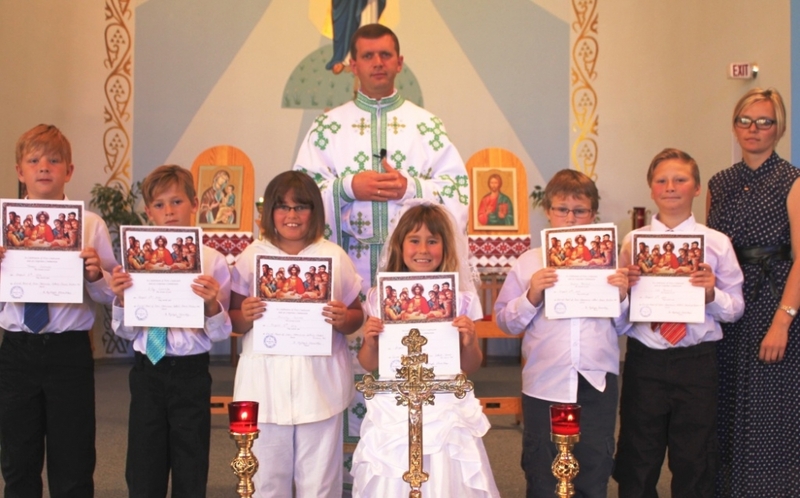 The most beautiful Divine Liturgy and luncheon was celebrated on Saturday August 6th which marked the 1st Holy Communion for six of the children. Congratulations and many blessings to those who received Jesus in the Holy Eucharist for the first time! A very heart-warming gratitude to Fr. Mykhaylo and Mrs. Iryna for their dedication, enthusiasm and faithful service to the local parishes and communities. This would not have come about if it wasn’t their commitment, leadership and their example. Thank you again to everyone that made this week possible and in prayer let us ask God to keep all of our children in His loving heart!